They improves the muscular strength. They minimizes stress and anxiety. They are less prone to injury, and they does not even seem like a workout. Then, why doesn’t many people take up yoga asanas as their workout routine?? Most of the people are under an illusion that yoga is passive and mystical. It is an otherworldly activity that is not related to their lives. They are always busy exploring themselves outwards whereas yoga makes an inwards journey to experience the self. Thus experience a vacuum diverging away from their true path. Indian culture has been teaching this wonderful art since more than 5000 years. But it has been popularized in the western countries only recently. So comparatively only very few people know its potential. Therefore we find most of the people opting for jogging, swimming, aerobics or cardio as such but not yoga. But yoga is much more effective than all these methods to keep your body fit and healthy. Through the various techniques of yoga, one can attain physical, mental, emotional and spiritual equilibrium. One can enjoy better health and inner peace thereby a better life. Yoga is considered to be effectively providing a “work-in” rather than a “workout”. Yoga in total is classified into eight stages. These eight stages consists of a number of sub branches. But only two of them deal with physical fitness. 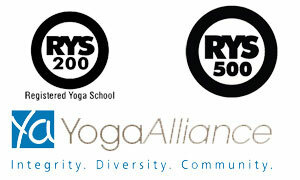 They are hatha yoga and kundalini yoga. 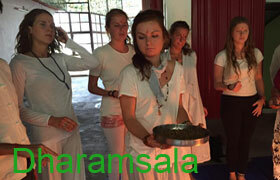 Yoga teacher training in India at Yoga Faculty teaches both of these yoga asanas. Hatha yoga is the most popular type of yoga around the western world. It is a slow paced workout involving deep breathing techniques and various physical postures. It is known to help nervous system, vital organs and glands in particular. Kundalini was first introduced to the western countries in late 1960s. This constitutes comparatively dynamic movements., breathing and meditation. The main purpose of kudalini yoga is to unlock the kundalini energy which is considered to be dormant in every person. It is said to be coiled in the shape of a snake. With regular practice of kundalini yoga the kundalini energy activates and raises from the base of the spine to the head through seven chakras or energy centers. When the kudalini energy is fully activated, the person is said to be at his highest potential. But it needs a lot of practice with consistent perseverance to reach this stage. There are 84 basic yoga postures or asanas in total. These asanas combined with special breathing techniques offer excellent fitness routine. These asanas range from simple twists and bends to the most advanced postures. Every advanced asana has a basic form too available to make it simple for the beginners and those who are suffering with certain ailments but still wish to practice these asanas in order to avail their benefits. These postures stretches the muscles and induce flexibility. When combined with proper breathing techniques, these asanas very efficiently help in getting relieved from both physical and mental stress. Static holds among these asanas strengthen the muscles. The main purpose of asanas is to prepare the body for the later stages of yoga which needs the person to sit in a single posture for a very long time. Therefore these asanas are designed to make each and every part of the body stronger, healthier and flexible. Hence the regular practice of these asanas results in fine physique that is stronger and flexible. They relieve stress and relax the nerves. They aid in healing various diseases and in keeping the body healthy. Every disease has a cure in yoga. However the real potential of yoga lies in taming the brain.